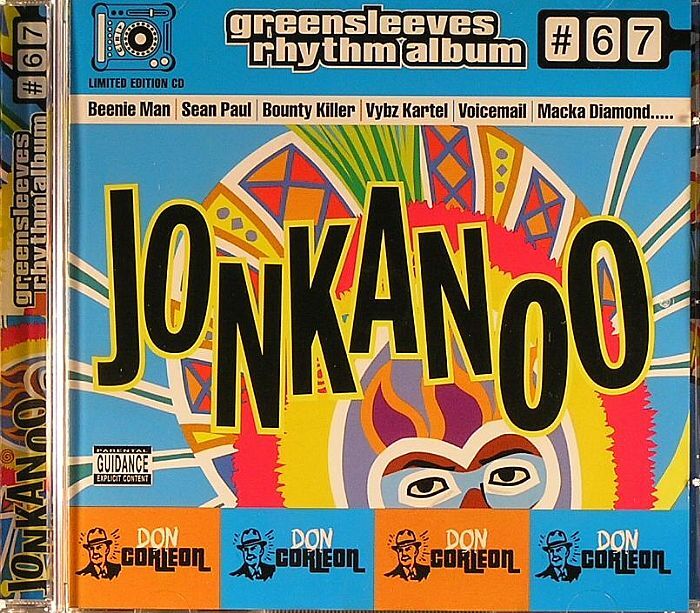 VARIOUS Rhythm 67: Jonkanoo vinyl at Juno Records. 2. Beenie Man - "Frame I & I"
3. Voicemail - "Do What You Feel Like"
4. Sean Paul - "Eye Deh A Wi Knee"
5. Vybz Kartel - "I Neva"
6. Beenie Man - "Chakka Dance"
7. Vybz Kartel - "Too Fucky Fucky"
8. Bling Dawg - "Aerobics Class"
9. Wayne Marshall - "Make Them Come"
10. Frisco Kid - "Wine Up Pon It"
11. Macka Diamond - "Da Size Deh Nuh Ready Yet"
12. Bounty Killer - "Sen On & Heng On"
13. Ward 21 - "Who Dem A Talk"
14. 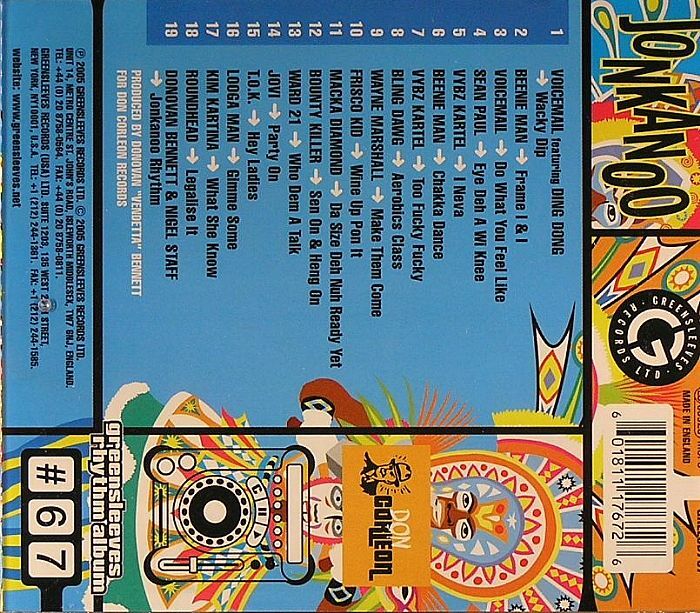 Jovi - "Party On"
15. TOK - "Hey Ladies"
16. Looga Man - "Gimme Some"
17. Kim Kartina - "What She Know"
18. Roundhead - "Legalise It"
19. 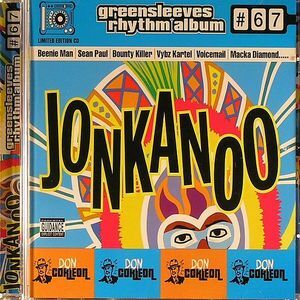 Donovan Bennett & Nigel Staff - "Jonkanoo Rhythm"